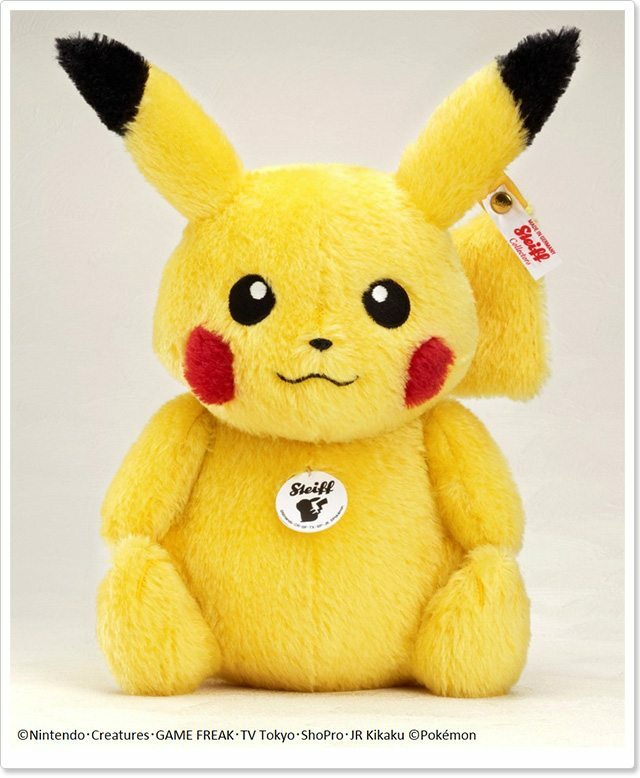 It isn’t only Build-A-Bear Workshop that will be producing new Pikachu toys, with The Pokémon Company having also partnered with German plush toy manufacturer Steiff. That not only reflects the care taken throughout the manufacturing process, but the high-end materials that the company chooses to use – most commonly alpaca, felt, mohair and woven plush, with either wood or glass used for the toy’s eyes. Only announced for a Japanese release so far, 1,000 toys are to be made with pre-orders being taken on the GOODSMILE Online Shop, at Pokémon Center stores and on Amazon Japan. Steiff’s Pikachu toy will see release on 25th February 2016 across Japan.